Follow our Product Care Instructions below to maintain your Chopping or Serving Board – A well cared for Food Board can last a lifetime. Should you have any further questions about taking care of your board, please get in touch. 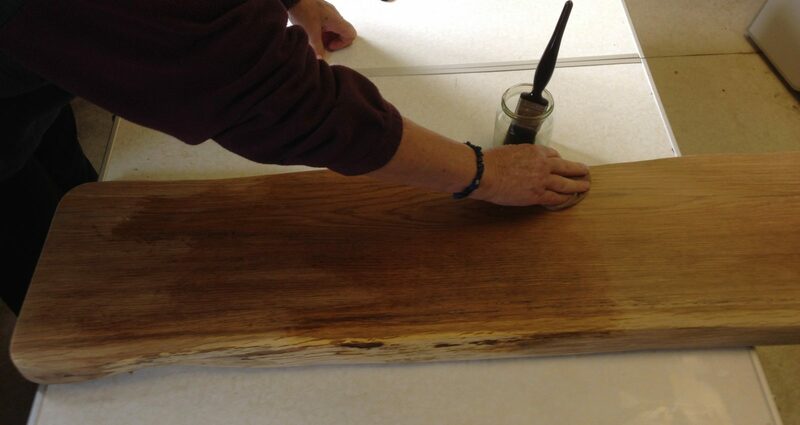 Oil your board regularly with mineral oil or vegetable oil. Use both sides where possible. To clean your board, simply wipe or scrub lightly, use detergent. Wash both sides and stand upright on end to dry. Do not soak your oak board as this will cause it to warp and or crack. After washing, wipe down and let it dry naturally in an area that is AWAY from heat sources such as ovens and radiators. For Counter edge boards lift onto edge to dry to allow air to get to both sides. Please Note: As wood is a natural product that will react to different environments which we have no control once the product leaves our workshop. We therefore cannot offer any guarantee against cracking or bowing. IMPORTANT NOTE: Before making any order, you will be asked to tick a box on the “Check Out” page agreeing to our Terms & Conditions. We do not keep any personal details, credit or debit card information on our system. Financial transactions are handled by secure payment processing company’s. Pay Pal or Stripe. We do not use any personal information for marketing purposes or do we pass it on to anyone. Each product is packaged to a high standard ensuring it arrives to our customers in good condition. We are not responsible for goods gone missing if goods left with neighbour or any other place. Should the customer be unable to collect the package at the courier’s depot due to an unsuccessful delivery attempt and then request delivery to an alternate address, any further shipping costs will be to the customer’s account. Advertised shipping prices are for the UK mainland only. Returns accepted if notified within 7 days of receipt, and returned unused. The buyer to pay postage or shipping charges. We do not accept returns on Bespoke orders. Should you encounter a problem with your order, please contact us in the first instance as we may be able to remedy the problem quickly over the phone. If you have a specific problem with your order, please notify us. Our returns policy does not cover the buyer for mishandling of the item, items being dropped or any further misuse. If you’ve got any further questions, please contact us – we are always happy to help.